Time + Goals = Networking…….but what about CarFreeBrad! It has been a tough writing week to say the least between being isolated in Upstate NY without internet,family issues and starting a new semester. At this point, I’m emotionally drained and ready to get back to a life free from gut wrenching emotion and constant running around. One out of two ain’t bad! I have begun to look at my schedule for the upcoming semester and it is already filling up REALLY FAST! It turns out, I have committed myself to A LOT of stuff. I mean that in the best way possible because I’m excited about almost every obligation I have on the calendar. But this brings me to my point, how do I engage in active networking with a packed schedule and living CarFree? One of my secret joys is a good networking event. I’m talking about a nice event with friendly people who have a lot to offer and to whom I can offer something as well to create a real give and give atmosphere. The biggest problem with networking is that is it uncomfortable and requires time, patience and above all else practice. Anyone who has attended a networking event has noticed how much more comfortable and effective you are at the end of the event. Maybe it’s the (hopefully) open bar that has loosened you up, but most likely it’s not. Like anything, the more you do it, the more comfortable you get. There is nothing quite like watching a pro networker. One of those people who practically network for a living or a politician(who does network for a living) as they work a room and are constantly in good quality conversations with the most interesting people in the room. Some people are just natural networkers, born to know everyone and have everyone know them. We’ve all had that friend that could and does talk to anyone and before you know it, that stranger is having drinks with your group of friends and is your buddy too. But let’s face it, that not most of us! 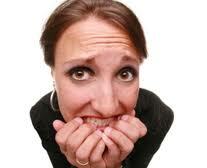 The rest of us get nervous, self-conscious and awkward as soon as we enter a networking situation. For us, we need two key elements; time and goals! Time to get into the networking atmosphere. The more the better as we get used to the terrible feelings and emotions that bubble up from within. 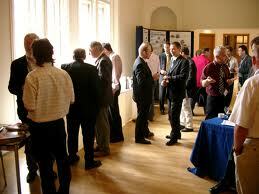 And time to get into our networking rhythm, practice our probing questions and switch our minds into networking mode. Next, we need goals! “I will connect with 3 people in this room tonight” is a great one. Simple, clear and measurable! Define your own version of “connect” but at the very least include exchange of business cards and a few minutes of conversation as the baseline. Living CarFree, I can set goals like crazy but it’s the time that becomes my enemy! I’ve tried to leverage social media as much as possible but nothing will ever replace the one-on-one meeting and conversation. Social media is a tremendous tool for follow-up but not going to expand my circle of influence. Especially someone in my mid-value position. I have a lot of great contacts and a very substantial knowledge base upon which to draw and to offer help and resources to those I network with. Let’s face it, 9 times out of 10, the person you meet, you can’t help but you know someone who can(that’s kinda’ how the whole thing works, right?). I have a lot to offer but I’m not at a level where people will go out of their way to connect with me. Again, time is the only remedy for that(or being famous)! So I’m stuck in a tough spot because I want to go to and be at ALL these great networking events. Greater Boston and Worcester have a tremendous networking scene with so many events and great people to meet but almost all require some serious travel. I’m ballin’ on a budget while in school and trying to get my company off the ground so I can’t really pay for registration, a drink or two and to get a zip car every time I might be able to squeeze an event in. I just don’t have that kind of cash. The question remains, what is my best strategy? Do I stick to hyper local Worcester events and focus on quality over quantity or do I get to as many as I can but cut my time there in more than half for my commute? This entry was posted in Bike commute, Car Free and tagged Active networking, Business networking, Greater Boston, Networking, Social media, strategy. Bookmark the permalink.